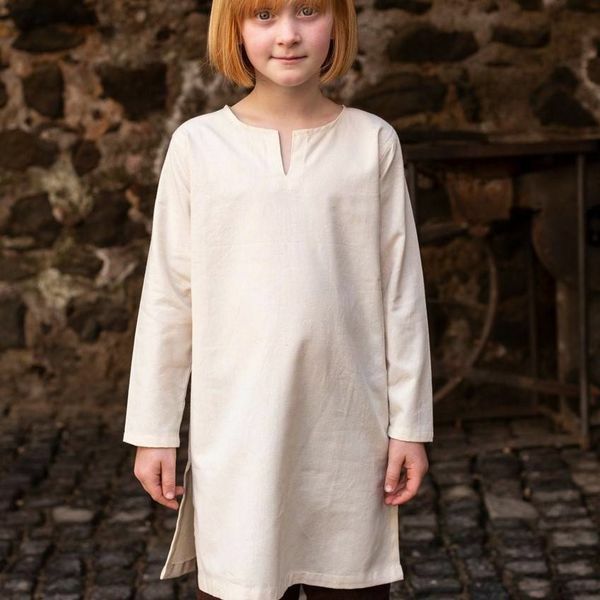 Dress in the (early) medieval way! 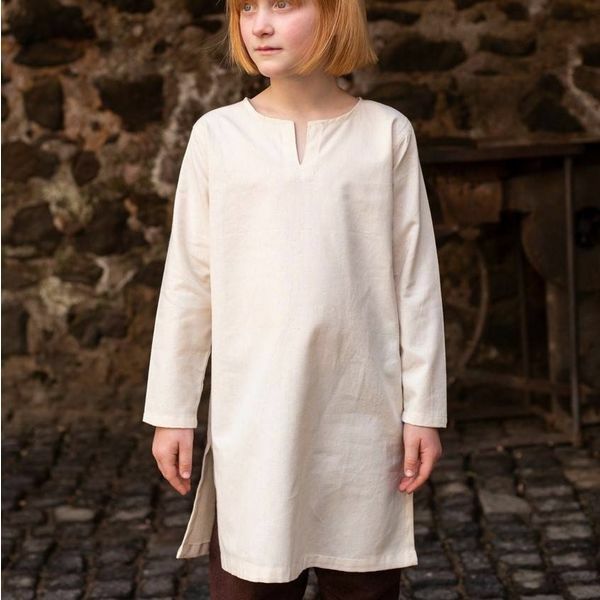 This children's tunic is based on a real historical item: the Bernuthsfeld tunic from Denmark. It was worn between 680 and 775. It is a fairly universal model and can be used from the Merovingians to the High Middle Ages. 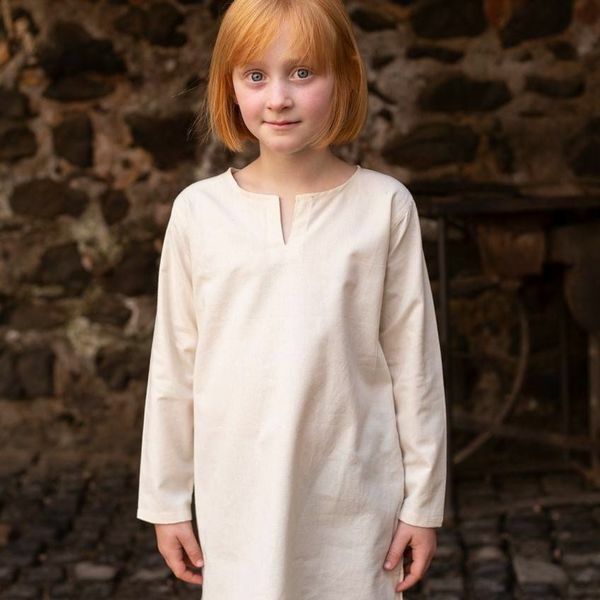 It can be worn underneath a colored tunic or as a separate garment. Also perfect for LARP, Cosplay and theatre.